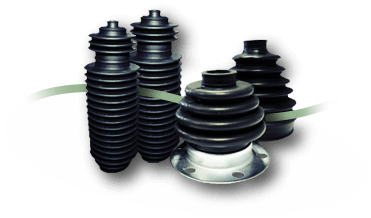 At Shaftec our quality range of conventional tailored fit CV boots consists of over 500 part numbers. Our range of steering rack gaiters consists of over 400 part numbers. Tested to the extreme, all boots are manufactured from premium grade rubber and are highly resistant to water, salt and grit. 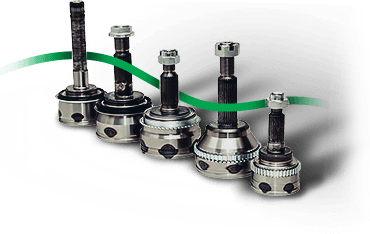 At Shaftec our full range of CV joints consists of over 1,500 part numbers, which between them account for almost 99% of the European vehicle car parc. Our availability is consistently above 98% from stock, offering our customers same day dispatch. We aim to be the first to have ‘new to range’ parts and in most cases achieve this. Our ongoing range development programme means that we constantly add new parts for the most modern vehicles on the road. All CV joints are supplied with the boot, 2 steel clips, grease, hub nut and replacement circlip. All our CV joints are backed by a 24 month, 24,000 mile warranty. At Shaftec we’ve been remanufacturing driveshafts for over 20 years. Entirely remanufactured in the UK, we’re proud to offer the biggest range in the European aftermarket. Together, the new and remanufactured programme of Shaftec branded driveshafts total more than 5300 references. Because we carry every part in stock – as standard – we’ll always have the part you need, when you need it, offering 98% coverage of the European car parc. Remanufacturing is in our blood. We firmly believe in the process as it results in components which are as good as new and perform in that way. The way forward on many levels, it’s better for the environment as it uses less energy and raw materials; it’s a more financially efficient solution and is often the only way to keep older vehicles on the road. We remanufacture the programme under the strictest of conditions. Each driveshaft is stripped right back to the bare bones and inspected to ensure that there are no defects. If they pass our stringent inspection process, they are then refurbished to the original state and reassembled by hand using new ancillary parts – that’s brand new CV joints, boots, grease and clips. After assembly each part is tested to the extreme to meet ISO 9001/2000 quality standards. All Shaftec branded driveshafts are backed by the highest marketing, data and cataloguing support and accompanied by a 24 month, 24,000 mile warranty. At Shaftec we’ve been remanufacturing steering racks since 2010. Our premium programme of remanufactured steering racks consists of over 1,200 part numbers which offer 95% availability for the most popular vehicles on the road, from stock. We remanufacture the entire programme, in- house at our leading remanufacturing facility in Birmingham. Remanufacturing is not just a poorer substitute for new. It’s a process which results in components that are as good as new, tested as new and perform in that way for the lifetime of the part. Each individual steering racks is stripped right back to the original casting and inspected to ensure that there are no defects. All Shaftec branded steering racks are then refurbished to the original state and then reassembled by hand using brand new components. Every unit is 100% factory tested beyond the capacity experienced on the vehicle. All Shaftec branded steering racks are backed by the highest marketing, data and cataloguing support and accompanied by a 12 month, 12,000 mile warranty. 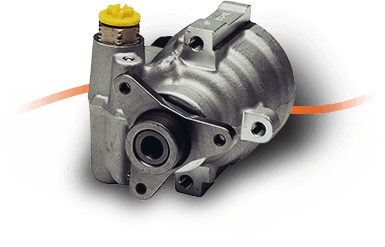 At Shaftec we’ve been remanufacturing steering pumps since 2010. Our premium remanufactured steering pump programme consists of over 1,600 part numbers which offer 95% availability for the most popular vehicles on the road, from stock. We remanufacture the entire programme, in-house at our leading remanufacturing facility in Birmingham. 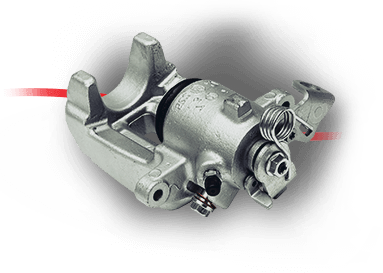 At Shaftec we’ve been remanufacturing brake calipers since 2007. Our premium remanufactured range consists of over 5,500 part numbers and offers 95% availability of most popular vehicles on the road, from stock. Each Shaftec branded brake caliper is stripped right back to the original casting and inspected to ensure that there are no defects. All brake calipers are then refurbished to the original state reassembled by hand using brand new components. This means 100% new pistons, springs, actuation and seals. Nothing is left untouched and everything is completely renewed to the highest quality of ISO 9001/2000. After assembly each individual brake caliper is air pressure tested beyond the capacity experienced on the vehicle. All Shaftec branded brake calipers are backed by the highest marketing, data and cataloguing support and accompanied by a 24 month, 24,000 mile warranty. 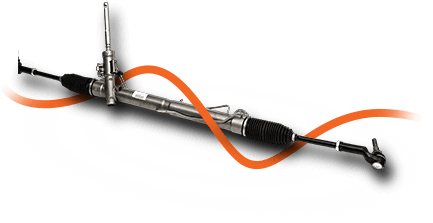 At Shaftec we offer our customers a same day dispatched ‘Recon & Return’ service on driveshafts, brake calipers, steering racks and steering pumps. This service provides our customers with an alternative option if the part is not catalogued or available. Please contact a member of our technical team for more information.